Vintage-inspired watches have been one of the hottest trends of 2017 and this looks set to continue in 2018. 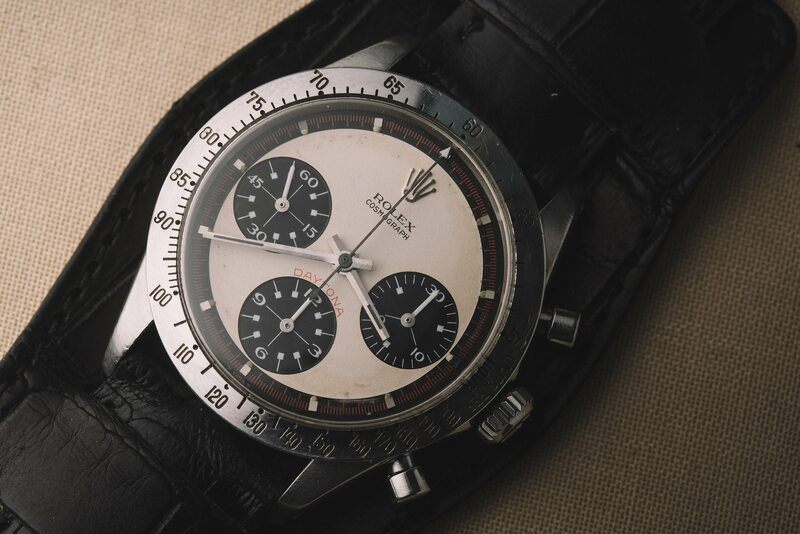 Automotive-focused watches from the golden era of the 1960’s and 1970’s, such as the Bell & Ross Vintage Bellytanker and the Heuer Autavia, have been particularly popular, no doubt helped along in no small part by the $17m sale of a Rolex Daytona owned by some guy. Not everyone can afford the premium price tags these types of watch command, however, so today we’re getting hands-on with a much more accessible alternative from Netherlands-based watch designer and producer, Aramar Watch Co. Called the Long Beach Racing Chronograph, it’s already exceeded its funding goal on Kickstarter, with just under a month still to go. Read on for all the details. 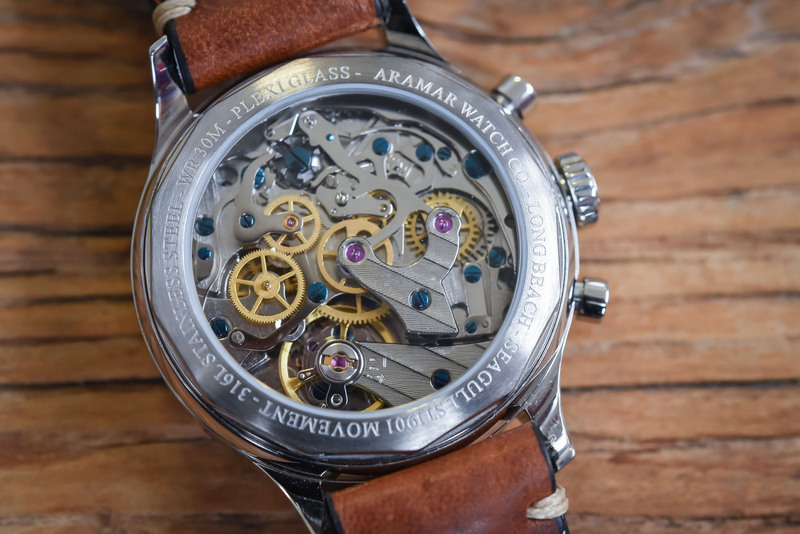 The idea for the Aramar Watch Company came about in 2010 after a proposed collaboration with an already established watch brand failed to come to fruition. Rather than relying on someone else, the team thought they could just as easily design the watches themselves in the Netherlands and then have them manufactured in China. Turns out they were right. Having previously worked as dealers for several brands in the Netherlands, they were already well connected and well-versed in the ways of the watch industry. To date, most of the watches they’ve made have been pretty clear-cut homage pieces, borrowing designs from established icons and recreating them for a fraction of the price with Miyota movements (or something similar). Many of these past watch series have already sold out and it seems Aramar has managed to build a pretty loyal following. 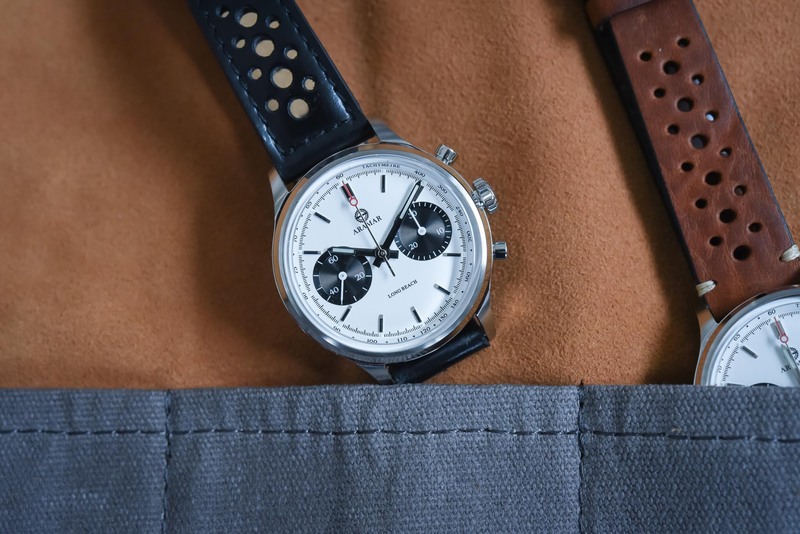 For their latest offering, the Long Beach Chronograph, the company has stepped out of its comfort zone a bit and created something a bit more original. And we have to say, there is a lot to like. 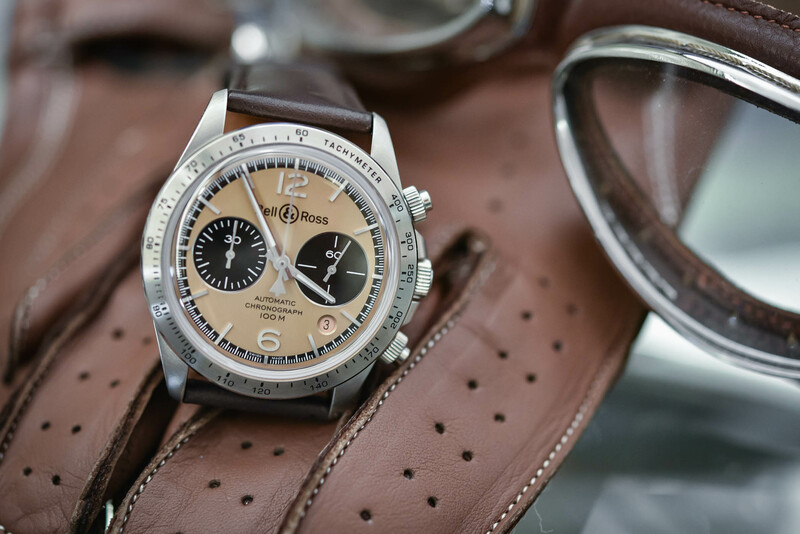 As we said in the beginning, the Long Beach is a vintage-inspired racing chronograph. 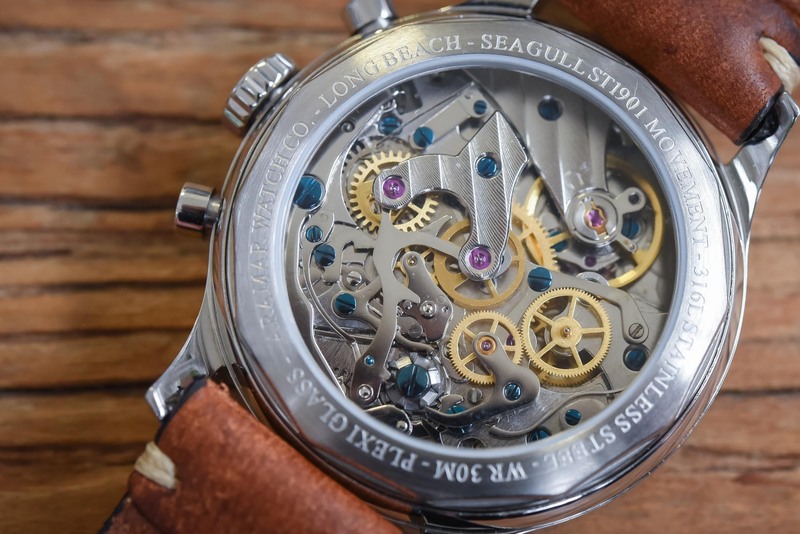 It’s powered by a Chinese-made Seagull mechanical movement with an interesting history that actually begins in Switzerland, but we’ll touch more on that later. For now, let’s focus our attention on the design and construction of the watch itself. The first thing you probably noticed when you looked at the pictures of this watch is the attractive panda dial. For those not already well-versed in the world of mechanical watches, a panda dial is so called because of its white base (the face) and its black sub-dials (the eyes). Twin-register chronographs were very popular in the 1960’s and 1970’s, often with running seconds shown on one and elapsed time shown on the other (the minute counter), with a central chronograph seconds hand. The Long Beach doesn’t deviate from this popular aesthetic. Hours and minutes are indicated centrally by two lume-filled silver hands, with applied silver baton markers for the hour intervals. 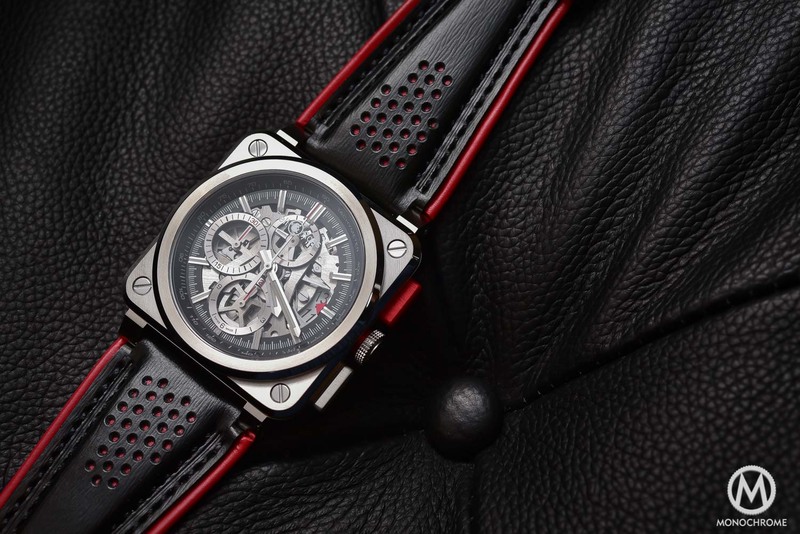 A red-tipped, lollipop-style central chronograph seconds hand enables the wearer to calculate speed in km/h in conjunction with the tachymeter scale that runs around the outside of the dial. Subtlety recessed “pie-tin” subsidiary dials at 3 and 9 o’clock respectively, house a 30-minute counter and the running small seconds. Subtle dots of C3 Superluminova have been applied just above each of the indices to enable reading in low light conditions. In addition to being clean and easy to read, the dial is also quite attractive. 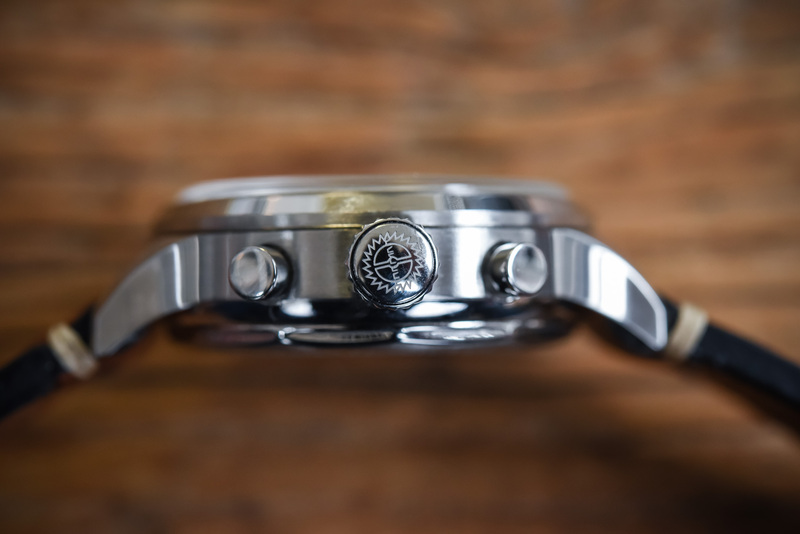 Made from high-grade, stainless steel, the case measures a reasonable 38mm diameter x 14mm height, although it does appear to wear a bit larger on the wrist. At 14mm, the watch is definitely on the thicker side but this is pretty standard in order to accommodate the additional height of the chronograph movement. 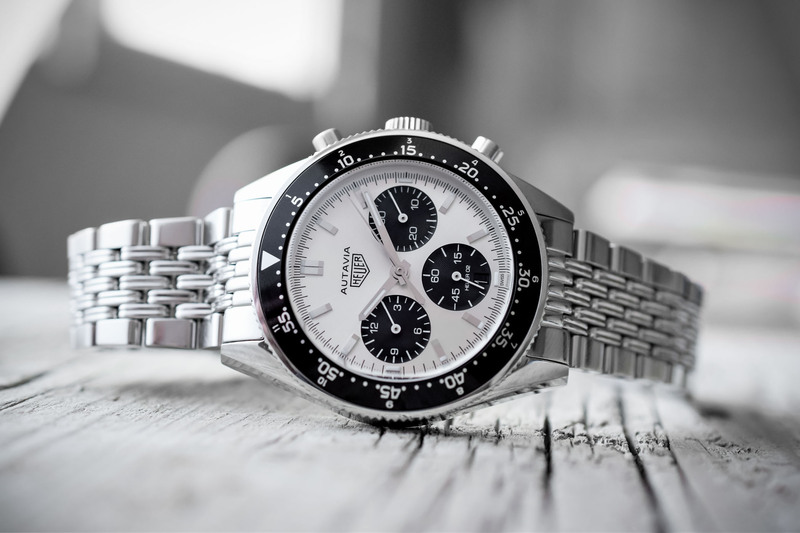 The Heuer Autavia, for example, measures a hefty 15.64mm thick. 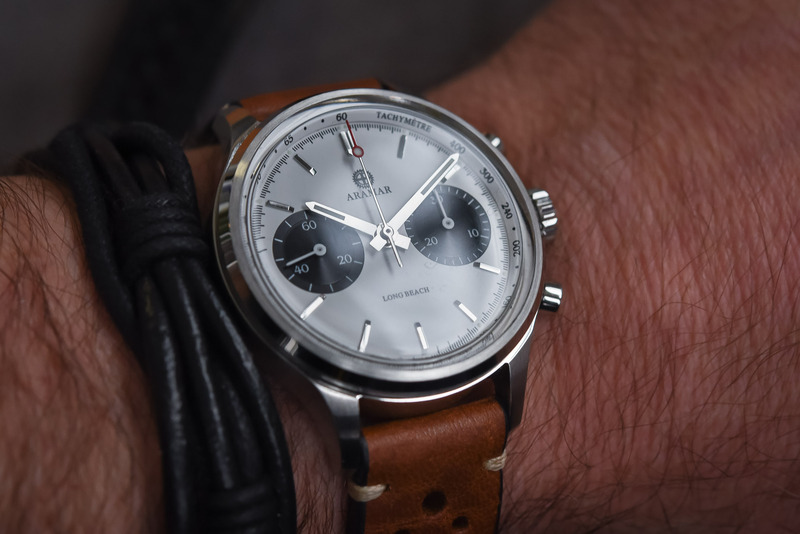 It is refreshing however to find a vintage-inspired chronograph that has kept almost similar dimensions to what models from the 1960’s and 1970’s were actually sized at. Brushed and polished facets give the case a more luxurious look and feel, while the domed acrylic crystal really drives home the vintage style. A sapphire crystal would have been nice but this would have meant increasing the price, and so an acrylic crystal which can be easily polished if it gets scratched seems like a good compromise (plus, it is an ode to the past). The slim crown is custom-designed for ease of use and features the Aramar logo engraved on the side. Finally, curved lugs ensure a comfortable fit on both large and small wrists. Turn the watch over and you are greeted with the sight of the Chinese-made Seagull ST-19, a 21 jewel, column-wheel, hand wound chronograph movement. Surprisingly the movement is even nicely decorated with Geneva stripes and blued screws. Not to the same standard a Swiss or German-made alternative, of course, but still nice to see nonetheless. If the layout and design of the movement look suspiciously Swiss, that’s because it actually is. You see, this movement originally began life as the Venus 175, developed by Fabrique d’Ebauches Venus S.A in Switzerland back in the 1940’s and used by major brands like Breitling and Minerva. In the 1960’s, Venus decided to develop a new movement, which would replace the 175, called the 180. To raise the capital required, they sold all the tooling used to manufacture the Venus 175 to the Chinese Airforce, so it could create movements for its military watches. Initially intended only for military use, this movement would eventually be released commercially as the Seagull ST-19. Precise and reliable, this historically-relevant movement is a column-wheel chronograph (not too bad, right!) offering 45 hours of power reserve when fully wound. 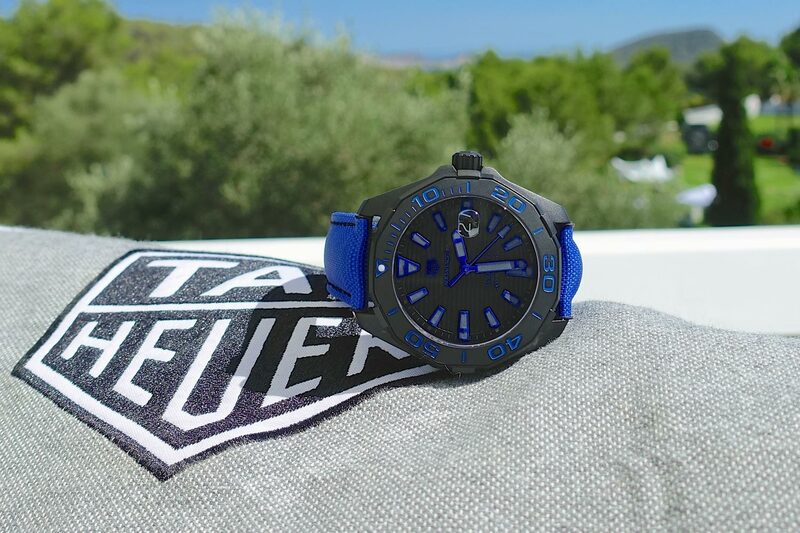 It’s not a Swiss movement anymore but it is arguably the next best thing. Furthermore, this movement has been used and abused for years now and its reliability isn’t to be demonstrated anymore. The Long Beach comes paired with a supple, black genuine leather racing strap, which measures 18mm wide at the case and tapers down to 16mm at the buckle. Its perforated style is reminiscent of the straps often seen on racing chronographs from the 1960’s and 1970’s. There’s also talk of an additional strap by a German strap-maker as part of a stretch goal but no details have been given as yet. 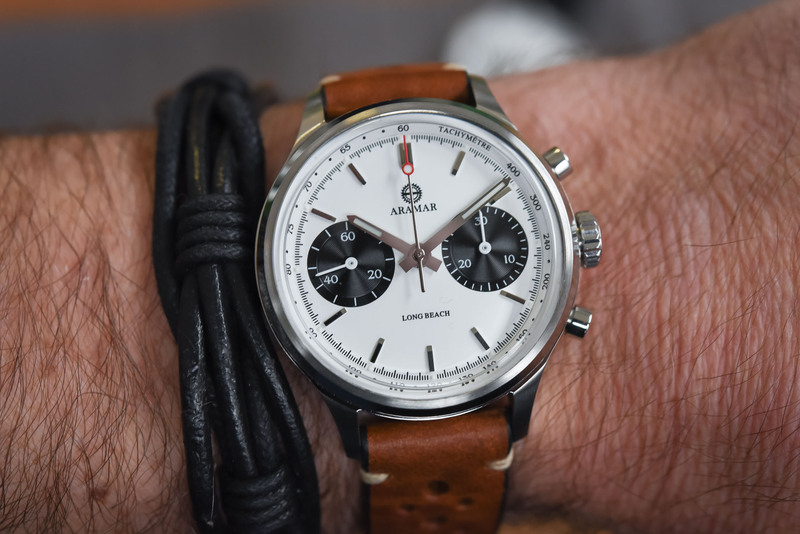 The Aramar Long Beach Racing Chronograph is a great watch for the money, especially if you come on as one of the early backers. At the time of writing, there are still 31 available at just EUR 249.00, which is a steal when you consider what you’re getting for the money. Even once the campaign is over, the retail price will only be set at EUR 399.00, which is very competitive given what else you can get for around the same money. Best of all, it’s its own watch. Sure, it takes inspiration from vintage models from the 1960s and 1970s but it’s not an outright copy. Plus, it looks good on the wrist. It’s a watch you could comfortably wear to the office with a suit or to the bar with your friends on the weekend, and for just about everything in between. Lastly, each watch comes with a 1-year warranty for that added peace of mind. Production is expected to begin early in the new year, once the campaign closes, with estimated delivery in May 2018. 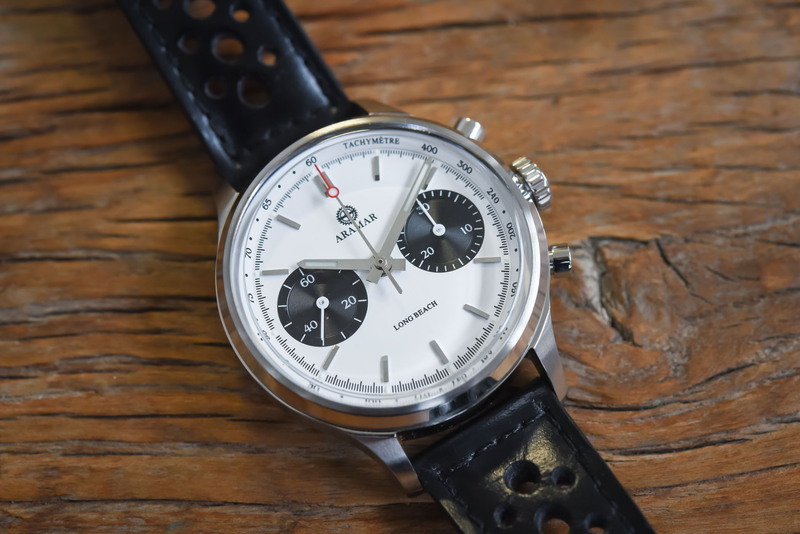 If you would like to reserve your own Long Beach Chronograph, go to the Kickstarter page now. Case: 38mm diameter x 14mm height – stainless steel with polished and brushed surfaces – acrylic crystal on both sides. Yes. Not a clone this time. But personally I have a hard time forgetting earlier activities of this brand including making false promotional posts on WUS and beging caught red-handed doing so. Or threatening a customer with violence. Very doubtful that the people behind this brand have changed although, indeed, this watch looks good. Better than the Gruppo Gamma, PP Nautilus copies they offered before. But a product alone is not yet a value proposition. It is the total package. People behind a brand so small as this make or break the proposition. Trust goes a long way. Which is not there for me. Just my 2 cents. Sharing because many people on your platform will not know about this history. And it is a shame you missed it in your desk research. Not unique at all. Looks EXACTLY like a Mercer Lexington. Even uses the same movement. @Stephan, thanks for your comment, however not sure how you would suggest we find this as part of our desk research or even incorporate it into a hands-on review? You are referring to something that happened back in 2013, on a forum with literally thousands and thousands of posts, nearly all of which are filled with people’s personal opinions. Whilst those opinions are certainly valid and presumably well-informed, it would still be wrong for us to represent them here as fact. @Stephan: That sort of history (if so) is not what I expect Monochrome to include in a watchreview. It’s an article on a current watch offering, not a court that could offer a validated judgement on the brand’s history. If you’re peeved, so be it, but this is not the time nor the place. Furthermore, I believe in second chances for anyone. @Eric B: Let’s for a moment look at some differences: size, crystal, dial, subdials, tachy, case, lugwidth. Even you would say similar, I’d get your point. But “not unique at all”, that’s simply not so. @Tom – Very nice review and write-up! I happened to back this watch on Kickstarter and believe it’s a wonderful value for a lot of the reasons you state throughout your article. I expect an objective/unbiased opinion of a timepiece and you delivered. Well done! 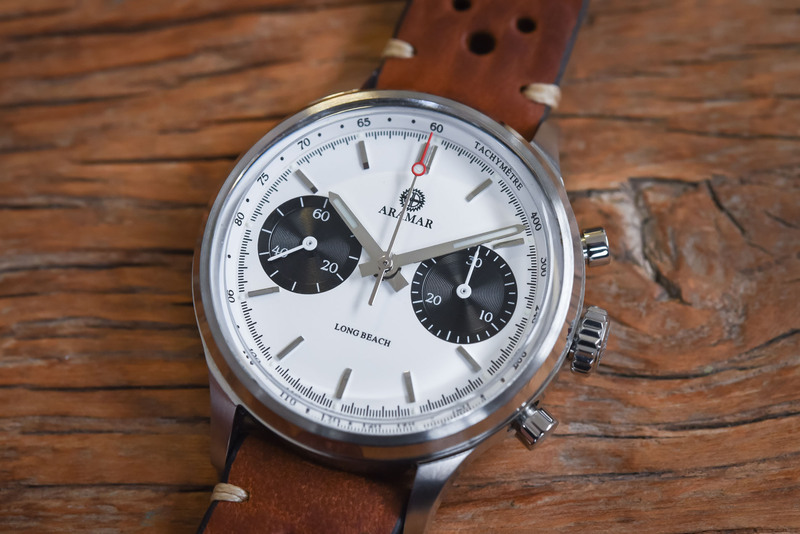 @Eric B – From my personal research (prior to backing the Long Beach on Kickstarter), there’s only about three hand-winding mechanical chronograph Pandas with exhibition case-backs at this price point: 1) Aramar Long Beach, 2) Mercer Lexington, and 3) Seagull 1963 re-issue. I agree with @rini; the Long Beach and Mercer Lexington are similar, but quite a bit different. How different is all relative, depending upon how closely you compare and contrast them. I believe any WIS considers the smallest differences in the details to be relatively big differences overall. (Let’s face it, there’s only so much you can do with a watch, especially ones going after a similar look.) 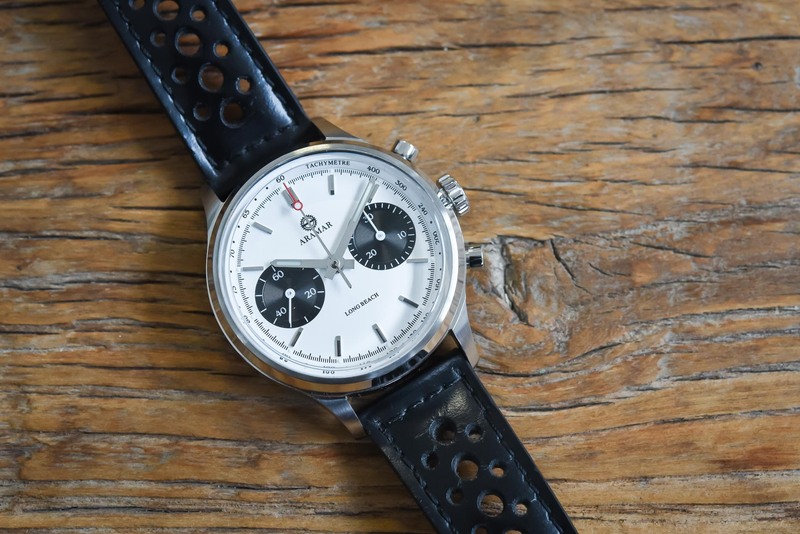 The Seagull re-issue is much larger than both the Aramar (38mm) and Mercer (39mm) at 42mm (for the white/black Panda at least); too large in my opinion for a vintage-inspired racing chrono. And all three watches share the same [beautiful] movement. Also, I believe the Aramar Long Beach was in the works dating back to at least April 2017 in its early stages. It appears to have found itself in its current state with Aramar through a rather interesting journey. The Mercer Lexington became available for pre-order in June 2017. So, who came first? Don’t know. But, one could argue that the Long Beach may have been designed before Mercer; it’s just that Mercer went to market first (because they already had the channels in place). With that being said, I don’t think they were intentionally competing with each other’s design. I believe they both wanted to design a vintage-inspired racing chrono and selected the same movement with exhibition case-backs because it’s so cool to see (and affordable). @Stephan – I’m not familiar with that history; however, I have seen/heard good and bad things about most brands. I tend to remain objective and focus on the piece and its components. And I usually send a few e-mails to gauge response time, professionalism, and transparency before buying a watch from a company. (Some companies never respond to an e-mail and guess what, I never buy from them. If they can’t answer a simple e-mail from a prospective customer, I can only imagine how painful dealing with any potential warranty issues after the purchase will be.) I have another Aramar watch in my collection and absolutely love the watch. Dealing with Aramar was a positive experience for me. So much so, that I didn’t hesitate in backing the Long Beach. “The story” written by Stephan, is one side of the story. Yes, there was violence, but there was also ridiculing designs and not one time, but again and again and more. It did not stop. And yes, then, at the end of the matter, there has been a violent reaction.